Bernard, W.T. & Hamilton-Hinch, B. (2006). Making Diversity Work: From Awareness to Institutional Change. Canadian Review of Social Policy, No. 56, 131-139. Bernard, W.T. (Editor). (2006). Four Journeys - One Vision: ABSW Comes to Halifax-Fighting For Change: Black Social Workers in Nova Scotia. Nimbus Publishing, Halifax, N.S., Canada. February 2010 - Presented at the American Therapeutic Recreation Association Conference in Beau Rivage, Mississippi. February 2010 - Community Advisory Committee Member for Parent Child Communication on Sexual Health and HIV. November 2009 - (Community Contact) for HIV Counseling and Testing in Nova Scotia. October 2009 - Presented at the National Recreation and Parks Association Conference in Salt Lake City, Utah. (with J. Singleton). March 2002 - Research Assistant for Prostate Cancer and the Black Community. Principal investigator: Patricia Melanson. 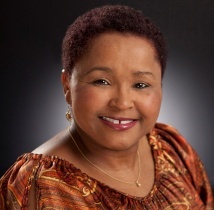 April 2003 - Research Assistant for the Racism Violence and Health Project (a five-year action research initiative, sponsored by NSHRF Principal Investigator Dr. Wanda Thomas Bernard). April 2004-2007 - Member of the Reference Group for the Racism Violence and Health Project. September 2004-2005 - Team Member (Stadnyk, R., Loppie, C., MacDonald, N., Hamilton-Hinch, B., & MacDonald, J. ), A Healthy Balance Research, Principal Investigator Dr. Brenda Beagan. I do it because I love her and I care: Snapshots of the lives of caregivers. Dalhousie University, Halifax, N.S. April 2009 - Presenter at the Annual Meeting at the Crossroads: Student Research in Health at Dalhousie University, Halifax, N.S.